Perloff at the "Poetry of the 1980s" conference, 2012. Photo by Star Black. 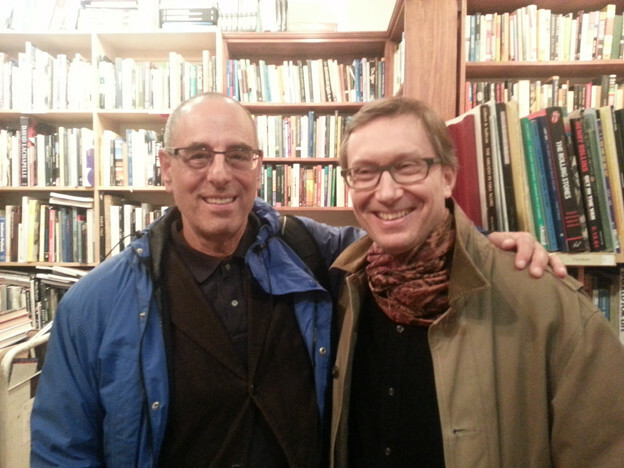 Charles Bernstein: Welcome to Close Listening, Art International Radio’s program of readings and conversations with scholars, critics, poets, and artists, presented in collaboration with PennSound. My guest today for the third of three shows is Marjorie Perloff. 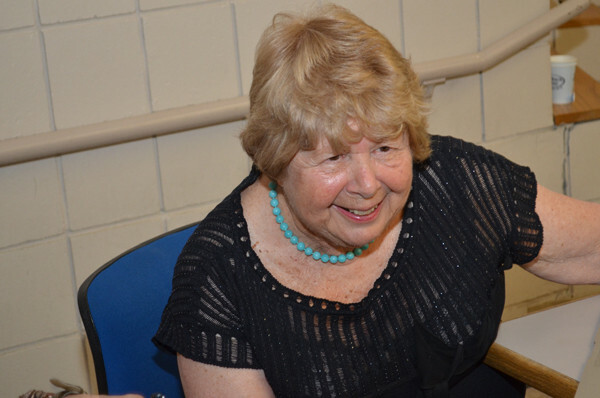 Marjorie Perloff is one of America’s foremost scholars of modern, modernist, and contemporary poetry and poetics. Her books include Rhyme and Meaning in the Poetry of Yeats (1970), Frank O’Hara: Poet Among Painters (1977), The Dance of the Intellect: Studies in the Poetry of the Pound Tradition (1985), The Futurist Moment: Avant-Garde, Avant Guerre and the Language of Rupture (1986), Wittgenstein’s Ladder: Poetic Language and the Strangeness of the Ordinary (1996), and new, just out from the University of Chicago Press, a book of essays that she coedited with Craig Dworkin, The Sound of Poetry/The Poetry of Sound (2009). She lives in Los Angeles, California. My name is Charles Bernstein. Marjorie, welcome back one more time to Close Listening. Marjorie Perloff: Thank you, Charles. Bernstein: Literary or poetry history of the past one hundred years is often thought to be divided into sides or warring camps. Over the course of your books, you have written about poets and poetry that would seem to be deeply at odds: Yeats versus the Futurists, or Robert Lowell versus Frank O’Hara. In one of your most influential essays you ask the questions yourself: “Pound/Stevens: Whose Era?” I’d even throw in Stein/Pound, along with Stevens/Pound, in terms of the way in which we tend to pit one approach or one constellation of poetry against another. What do you think? Perloff: Well, surprisingly, I just gave in Hartford, Connecticut, the annual Wallace Stevens Birthday Address, sponsored by a group called Friends and Enemies of Wallace Stevens, but of course none of the members are really enemies. I think the name was designed to bring in as many Hartford citizens as possible. At any rate in my lecture I’m not totally favorable to Stevens. I argue that his aphorisms, brilliant as they are, are also a limitation and that the best Stevens embeds aphorisms in a larger structure. And I suppose, much as I admire Stevens, I still hold to the view of “Pound/Stevens: Whose Era?” that Pound is the more interesting of the two. My reservation has always had to do with the fact that there are no people in Wallace Stevens. As he says, “life for me is a matter of places, not of people, and that is the difficulty.” And I think it is a difficulty. Pound, in contrast, is always alive to human interaction, which makes for a very exciting poetry, however nefarious many of Pound’s ideas. So, I haven’t really changed my mind much. Bernstein: Was there some time in your life where you did feel like you had to like everybody? I can’t imagine that. Perloff: Well, yes. Yes, certainly I did when I was a student. You had to write about whatever you were assigned to write about. Bernstein: Sure, but like everybody? Perloff: Not like everybody so much, but one had to acknowledge them. In my own case, though the question of Pound versus Stevens or Pound versus Stein is not nearly as interesting as that of all of the above in comparison to Baudelaire, who is for me the great modernist poet, with Rimbaud a very close second and of course Mallarmé as well. Bernstein: Are you saying the Americans are not so good as the Europeans, Marjorie? Perloff: Not as a generalization at all; in the second half of the twentieth century, the Americans predominate. But Baudelaire has a range and depth you don’t find in his British or American successors. Still, I don’t want to get caught up in rankings. Once I accepted the assignment to write on Wallace Stevens, I was happy to do so. I did my best to read the new Stevens scholarship. I am a scholar and my habit is to go back and read what everybody else says, and then come to my own conclusions. What do you think? Perloff: Oh, I wish you would. Bernstein: After we go off the air, but for now I want to ask you about Stein. Stein remains a vexed figure, even now in the twenty-first century. I have an understanding of why that is, to some degree. Still, it’s still a little bit surprising that she could be controversial now. Perloff: I think she’s at least as controversial as she was fifty years ago and will become more so. Stein is such a special case; she is so uncompromising and she will never be widely popular. I have to be honest and say there are moods where I myself don’t feel like reading Gertrude Stein. Her prose makes enormous demands on the reader and so, although I love to write about Gertrude Stein, I don’t always like to read her. When Benjamin Friedlander recently said on his blog that Stein is excessively abstract, I saw what he meant. On the other hand, I’ve always adored teaching Gertrude Stein because the students come up with such wonderful readings. Teaching Tender Buttons or “Miss Furr and Miss Skeene” or, for that matter, the plays, is a wonderful experience. I did a whole seminar on Gertrude Stein for sophomores at Stanford, and the more we read Stein, the more intriguing she became, the more interesting. But the rigor of the long prose works of the 1920s like A Long Gay Book can be off-putting. One isn’t always in the mood for that particular kind of rigor. And so, I do think that, as the late great Guy Davenport said in a review of Ulla Dydo’s Stein Reader, she will always be considered marginal. Did you read Elaine Showalter’s recent dismissal of Stein? Perloff: It was in the Chronicle for Higher Education. Elaine Showalter has written a new literary history of American women writers. And she covers the most minor of writers. But when she is asked whether there is any writer covered that she doesn’t herself like, she responds, “Yes, Gertrude Stein.” Stein, Showalter suggests, is the most overrated of writers. She is boring! Bernstein: That’s what I mean by her continued controversy, because around visual artists and other radical artists of that time, a hundred years ago, you just sort of accept, they’re accepted just as being what they are. They don’t remain controversial. You might not like them. You might not go back to them. But they don’t quite have the volatility that Stein has. Perloff: You mean that she would make people that mad. Perloff: As she made Elaine Showalter. Bernstein: A hundred years after she did some of her most important work. Perloff: Well, I’m not sure critical views progress that way. Ironically, Stein was appreciated early on by writers like Edmund Wilson, and she did have many other early admirers. But don’t forget that most critics, early and late, focus on thematic issues in literature. They are concerned with meaning, plot, character. In this respect, Stein can be very frustrating. She is a poet’s poet. There was a pro-Stein blip on the radar screen in the ’80s, thanks to the Language poets, but then criticism soon turned to Stein’s role as lesbian, expatriate, feminist, Jew, and so on, rather than concentrating on her actual writing. Once this “outsider” interest wanes, she will be neglected again. And then there’s also her politics, which is quite problematic. What I am trying to say is that the larger public, even for, say, Kafka or Joyce, is not going to appreciate the radical innovations of Stein. Bernstein: So, a hundred years ago, give or take a few years, there began to emerge the range of works that you write about in The Futurist Moment, including Marinetti’s publication The Futurist Manifesto in 1909. Can you talk a bit about the relevance of the Futurist moment? First of all, what do you see as its significance? And do you think Stein could be seen as more a part of that, a context that would therefore make her seem a little bit less extreme? Bernstein: As opposed to the context of Robert Frost. Perloff: I say in the lecture, which I am giving at Yale this week, which is called “The Two Futurisms,” that it is still the Futurist moment, not the Futurist movement, that interests me most. Concern for the Italian Futurist movement leads to studies that follow the artists and poets right into the 1930s and beyond, whereas for me the great innovations were all over by the end of World War I. The only one who survived the war was Marinetti himself. The others either died — the two great artists, Boccioni and Sant’Elia, were killed in the war in 1916 before Fascism came into being, and these artists were socialists really or anarchists — or they left the movement because they really disliked its coming association with fascism. And the notable survivor was Marinetti, who did become a fascist. There’s absolutely no doubt about it. And he also became much less interesting. Remember that Marinetti was never an especially notable poet or fiction writer. He was a great polemicist, a great manifesto writer, but his poetry and his fiction were not that good. Perloff: The visual work is wonderful. The parole in libertà certainly. But the great futurism, for me, is the Russian “cubo-futurist” variant , which we are just beginning to study now. And, to me, the Russian avant-garde is the great one, more important than Dada, certainly, and more important than surrealism. But Russian Futurism was also short-lived. Bernstein: Well, it was wiped out. Perloff: It was wiped out and what’s so poignant is that they were all revolutionaries. They really were revolutionaries, and I mean they believed in the political revolution, too. They were all for it, even after it occurred, but they were soon to be destroyed. It was a great moment in literary history, and, in an odd way, it includes Gertrude Stein, to come back to her. Stein was already creating incredible work by 1910, 1912, 1914 — for example, the portraits like “Marry Nettie,” which I’ve written about in relation to Marinetti. So, although Stein disliked the Futurists and thought Marinetti was a windbag, she belongs with Khlebnikov in the Futurist moment, when you think about it. Bernstein: And I do think of Khlebnikov and Gertrude Stein. Perloff: They have a lot in common in their awareness in the smallest particles of language, and that it makes a difference whether you use a present tense or a past tense, and that the way words relate really matters. Perloff: Absolutely, “Composition as Explanation.” And How to Write, one of my favorite Stein books. How to Write, which contains the piece “Arthur a Grammar.” All these things are directly related to the whole concern with language that you have in Russian Futurism, and, to some extent in Marinetti too. There are writings by Marinetti that aren’t as well known that are absolutely brilliant, prescient in foreseeing the digital world. He has a long amazing piece reprinted in Lawrence Rainey’s Futurist anthology called “The Electrical War,” in which he says, among other things, that soon we’ll have chairs that are lightweight, made out of metal and that we can carry around. And lo and behold, we do! Bernstein: How about the relation of the poets to the visual artists in that period that you write about in your book? What made that possible and have we ever had such an intense interconnection between those often very different kinds of work? Perloff: It’s a good question of how it was possible. I think the revolution first occurred in the visual arts, where antirepresentational work was considered more acceptable than it is in poetry. And in the 1910s, thanks to the rapidity of industrialization and cultural change, theater, film, all the different forms are revolutionized, and it’s a truly interdisciplinary period. We certainly don’t have anything like it today. You have a curious separation between the arts today, and people in one area not knowing the other. People in the visual arts, great critics of the visual arts, knowing nothing about poetry, and vice versa … So, I guess there was the feeling that anything could be done. I really like the utopianism of these prewar years. Perloff: That’s right. Utopianism is inspiring, even though it was defeated by the events of the time. Utopianism is a healthy thing. For artists must believe that things could change, and that art can change, that literature could change, that it is possible to do something new. And in the early 1910s, you had all these people converging on Paris, like Picasso from Spain, Blaise Cendrars from Switzerland, Apollinaire from Italy: the avant-garde, let’s remember, largely came from marginalized cultures. I mean, Italy was certainly a marginalized country at the time. Just go back and read in, let’s say, Howard’s End, or other novels by E. M. Forster how the Italians at the time were regarded by the Brits as just rather dirty little people. Bernstein: And the Russians, of course, as well. Perloff: And the Russians were considered wild people. Tourists certainly didn’t go to Russia, where the people were held to be “wild,” somehow inferior. To understand futurism you must understand that the Italians were considered quite inferior to the English and French and Germans. They were regarded as oversexed “primitive” people who weren’t quite civilized. Perloff: But you’re right that it’s a very strange thing. Obviously part of it is just autobiographical: when I was going to graduate school, Yeats was the great poet. Bernstein: And you still think Yeats is a great poet. Perloff: I still think he is a great poet, but I was certainly influenced by the culture of my university years. In the ’60s, Yeats was a hot dissertation topic. Gayatri Spivak, for example, wrote her dissertation on Yeats. All kinds of people who you wouldn’t expect worked on Yeats because there was so much to do. On Blake as well. You could explicate Blake’s late prophetic books like Jerusalem. The same thing was true of Yeats and it just seemed very exciting. But don’t forget that I wrote my dissertation on rhyme: it was the formal aspect of Yeats’s poetry that interested me, and with respect to sound. I still think Yeats is an absolutely extraordinary poet, however different he may be from, say, Gertrude Stein. Yeats’s work is so rich and complex. I’m directing a dissertation on Yeats at USC right now by a wonderful student who is interested in Yeats’s philosophy and theosophy, and he’s working on Yeats and Wittgenstein. There’s one for you. Bernstein: Your most recent edited collection, The Sound of Poetry/The Poetry of Sound, continues your emphasis on sound patterning, to use the most generalized term for it. And you continue to write about sound, even in work that often isn’t viewed from the point of view of its sound patterning. So, over the course of your work, you move from a metrical, perhaps, to a postmetrical or nonmetrical environment for rhythm and sound. But remain focused on poetry’s sound. Perloff: I do, I do. Bernstein: So, let me ask you another question, autobiographical in part, but also going back those binary divisions within the poetry of the Cold War period: Robert Lowell, Frank O’Hara. In many ways, they come to stand for such a different … almost like in the Frost sense, “Two roads diverged … and I / I took the one less traveled …” O’Hara’s and Lowell’s are often viewed as being two roads that have diverged within American poetry. That divergence structures a lot of our thinking about postwar poetry, not because people don’t like one or the other, but just the way in which we associate poetic practices around those two proper names. Perloff: Yes, but again you have to historicize this a little bit. I don’t read much Lowell anymore, and of all my books the one I probably like least is The Poetic Art of Robert Lowell (1973). On the other hand, I do remember how thrilling those lines from Life Studies seemed back then: “Tamed by Miltown we lie on mother’s bed; the rising sun in war paint dyes us red” (Lowell, “Man and Wife,” stanza 1). The famous poet of that moment was Richard Wilbur. And compared to Richard Wilbur, Lowell was direct, immediate, and the choice of words seemed powerful in that particular book. But by the time Lowell published Notebook and History, I wasn’t nearly as interested. I still love Sylvia Plath, by the way, even though her poetry is so different from most of the work I have championed. “Viciousness in the kitchen: the potatoes hiss.” A great opening (“Lesbos”). But here let me go back to Yeats a minute and explain something. What Yeats and Stein and Pound have in common is that all three believe, as Yeats puts it, that “Our words must seem to be inevitable.” That to me is the key to poetry. Our words must seem inevitable, as he wrote to Dorothy Wellesley in that wonderful correspondence, which every student of poetry should read, The Letters of Yeats to Dorothy Wellesley. Never use a different word when the same word will do again. His example is “harlot”; if you mean “harlot,” he tells Wellesley, then repeat that word. And the idea of the inevitability of language, even more than just the sound, was central to Yeats. He revised endlessly in order to get words absolutely right. Take the poem I mention in my preface to The Sound of Poetry, which begins, “Others, because you did not keep / That deep-sworn vow have been friends of mine.” Language is used very brilliantly as it is by Stein, as it is by Pound, and what I have a real resistance to, especially in much poetry written today, which seems to me in the vein of 1909 before Eliot and Pound came on the scene, is that it’s just slack. There are too many words used. There are endless extra prepositions and verb forms that you don’t need, and it just goes along like prose. That really bothers me. Now, to return to Lowell. At his best, even though he was a Boston Brahmin, seemingly the opposite of Frank O’Hara, he broke down the wall that existed at the time — the wall of poetic diction, à la Allen Tate. In the poetry of the time, there was much gratuitous figuration, elaborate metaphor, circumlocution. Lowell’s poetry had a new immediacy and intimacy. But even in that book, by the way, in the chapter on the Imitations, I say how problematic his translations are and I criticize the later work. So, my book was by no means all praise of Lowell even back then. Bernstein: But don’t you think that Lowell’s poetry diverges from the Don Allen New American Poetry context, that most basic “raw and cooked” binary? Perloff: Yes and no, but don’t forget that I don’t like all the work in the Don Allen book either. I’ve never been an Olsonite. I’ve never had the taste for Robert Duncan. The latter is my dirty little secret: Steve Fredman once said to me, “Your weakness, Marjorie, is that you don’t appreciate Robert Duncan.” My friends Al Gelpi and Peter Quartermain have said this to me too. But my problem, as I was saying of others before, is that Robert Duncan’s poetry strikes me as often quite slack, so far as sound goes, and the references are often quite vague. For me, language has to resonate. The words have to, so to speak, explode in your face. Perloff: Well, if not the sound resonating, than a resonant, complex meaning. Bernstein: But the meaning resonating … Even within a conceptual context meaning can resonate, from your point of view? Perloff: Absolutely, so that you have to reread it. Presumably the language was “found” for a reason, so you have to look at it closely. But so far as the big debate prompted by the Allen anthology goes — the debate between the raw and the cooked — let me say that if I had to choose between Robert Lowell and Denise Levertov, I’d pick Robert Lowell. And although Don Allen was a good friend of mine and I admire his book enormously, I think there are plenty of poets in that anthology that aren’t very good. Just because they had the right poetics, you see, doesn’t make them good; , that issue has always been a problem for me. I can’t admire poets just because they have the right poetics. Bernstein: And do you see that as a problem as well in 2009? Bernstein: How do you compare that to the era of Eliot? I know that you’re about to give a talk on, is it, Eliot and the poetry of today. Perloff: No, but I’ve been invited to the Eliot summer school in London. But I have written on Eliot and the earlier avant-garde. Bernstein: Is there an avant-garde today? Can there be innovation after the radical innovations of the modernist period? That’s the generic version of my next question for you. Perloff: Sure. I think there will always be an avant-garde. You’re certainly avant-garde! Bernstein: But many people would dispute that, as you know so very well. But whatever anyone wants to call it. Innovation. Certainly that’s my view: there has to be invention just to stay current. Perloff: There has to be. There always is. Bernstein: But a lot of people don’t think that. So, I’m putting my question from that point of view. Perloff: I don’t think today’s avant-garde is as dramatic as that of the early century. I do think the real revolution occurred, as I said, before World War I. It was all over after the war. I mean, revolution of the sense that one could do something entirely new and different. When I was recently working on the Russian avant-garde, I went on YouTube — this is an interesting exercise — I wanted to know what Moscow or Petersburg really looked like in 1910. There was no transportation yet except horses and sleds. Bernstein: That’s why they were so thrilled by the motorcar. I do feel, always feel, that poetry has to be very much of its time and the kinds of innovations and things we have today. Of course it has to be innovative, but it is also true, as Hugh Kenner said, that the avant-garde can be just as boring as anything else. Avant-garde allegiance alone, in other words, isn’t enough. And much work today has become very predictable. Bernstein: When people first come to radical modernist and contemporary poetry, European or American, they sometimes rub up against what they feel is its elitism. I’ve written about this in terms of “the difficult poem.” In the few moments I have left, I thought I would ask you how you respond as a teacher. It must come up all the time, because it does for me — that this poetry is elitist. It’s a very American question. Perloff: I think poetry is by its very definition elitist. I think that that whole discussion of elitism is so silly. I just heard, the other night at a discussion in New Haven, someone say, “then isn’t Bob Dylan really then the best poet because he’s not elitist.” Everybody loves Bob Dylan and knows those lyrics. And so he’s the great poet of the period. But the truth is that, so far as the “public” is concerned, the real action is not in a Bob Dylan song but the ballgame. The public doesn’t like Billy Collins any more than they like Charles Bernstein or Susan Howe. Most of the people I know in my day-to-day life never read any poetry. They might read some novels. By literature, they mean novels. And they might read novels, new novels, or even classical novels, but they don’t read poetry. So, poetry has always been elitist and, after all, if you think of the metaphysical poets living in a manuscript culture, or you think of even Wordsworth or the romantic poets, it was always elitist. I think it’s fine that it’s elitist because the audience is, in fact, very big. The criticism in England is that in the United States poetry only has a university audience. Well, let’s remember that the university audience is huge, as you well know. There are lots of people at universities all over the United States. This very evening there will be poetry readings in every city throughout the country. You know, there will be readings and there is interest, and that’s enough for me. I agree with Frank O’Hara: if they don’t like poetry, bully for them. The movies are good too. And the ballgame is good too, I guess, although I must confess I never go to one! Bernstein: You’ve been listening to Marjorie Perloff hitting home runs here on Close Listening. … I’m Charles Bernstein, close listening even when it hurts.